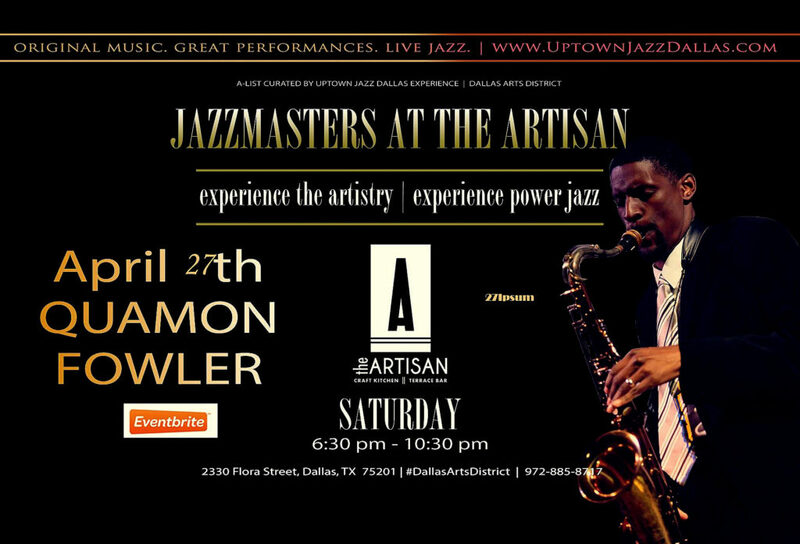 Quamon Fowler guest performance @ JAZZMASTERS at the ARTISAN. Original Music. Great Performances. Live Jazz. A curated experience from Uptown Jazz Dallas. Hosted by Keith Hill, featuring incredible views of the Dallas Arts District, hand-crafted cocktails and chef-prepared cuisine on the ARTISAN Terrace.